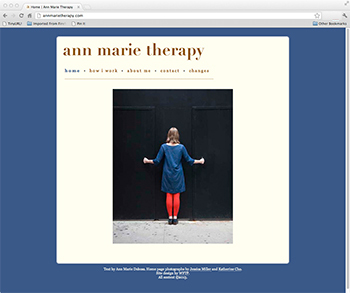 In describing her ideas for a website for her new therapy practice, Ann Marie specifically requested imagery that departed from the stereotypical pictures one associates with the helping professions. We were fortunate to be granted permission by Jessica Miller and Katherine Cho to use their work to evoke Ann Marie's approach to therapy. More than most websites, these images form the backbone of the overall design, and were the launching point for the rest of the website. 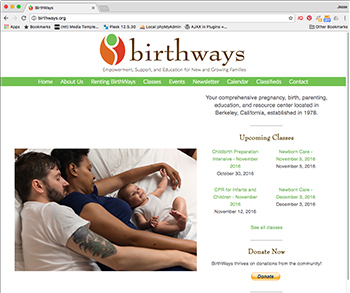 Birth Ways needed a website that would serve the needs of their two primary constituencies: parents and providers. 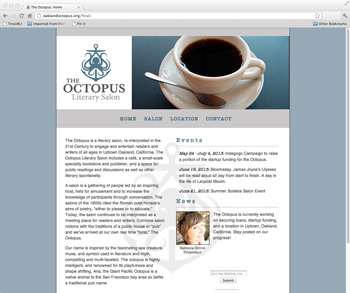 This site is built on WordPress and uses Event Espresso to manage classes and other events. I initially rebuilt BirthWays's site, from the ground up, in 2010; I was thrilled when they contacted me again in 2015 for a new, fully redesigned WordPress theme. 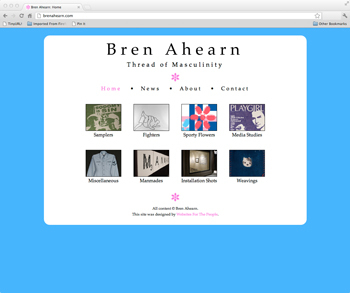 Bren Ahearn is a visual artist, and so the focus of his website is the artwork. A custom-built slideshow function displays the work in each of his categories, while the color scheme, layout, and image motifs reflect the exuberant, subversive qualities of the work itself. 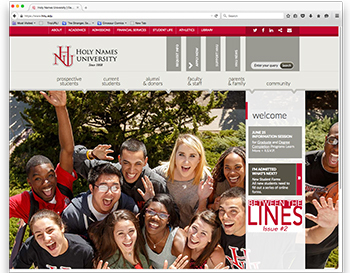 The website for Holy Names University is built in Drupal 7, with a number of custom plugins to manage the functions that are unique to private universities, and to HNU in particular. 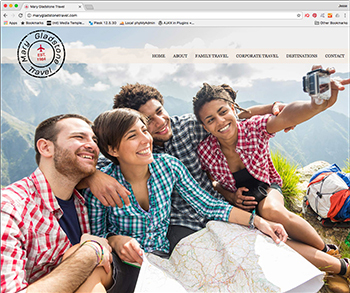 The two-level navigation menu is designed to meet the needs of both first-time visitors and new visitors, guaranteeing that everyone will find what they are looking for. This site was the recipient of a 2014 Best in Class Interactive Media award. As a knitting teacher and designer, Kira needed a site that would serve multiple needs and audiences. 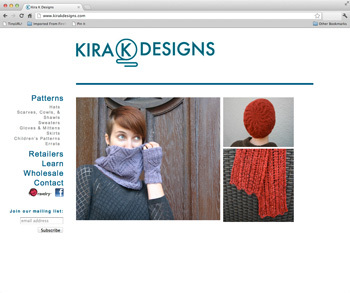 Built on WordPress, Kira's site uses built-in functions for retail knitting pattern sales and WooCommerce for its password-protected wholesale services. Logo and basic layout were designed by Amador Jaojoco. As the online home of Doug Brown's landscape architecture practice, this site needed to provide an immersive experience. The portfolio uses a jQuery lightbox plugin, customized to match the overall look and feel. The result is a website that focuses the visitor's attention on Doug's amazing work, whatever device is being used. Mary Gladstone is a travel agent. Her website is a repository of information about amazing places to go, things to do once you're there, and the best way to go about it all. Her site is built on WordPress, and I had the pleasure of designing the logo as part of the project. 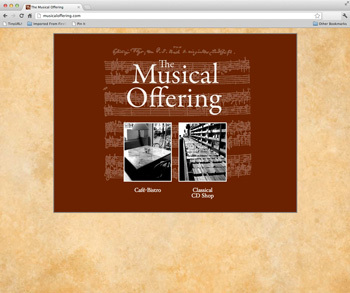 The Musical Offering's website is designed to serve both its classical CD business and people coming to the café. The color scheme and open layout mirror the experience of being in the café itself. With multiple back-end users and regularly changing content, this site is built on WordPress and uses a Kieran O'Shea's calendar plugin to post events and coordinate with classical music events at UC Berkeley's Zellerbach Hall. The Octopus is the latest addition to Oakland, California's evolving Uptown district. Rebecca Grove, the proprietor, wanted a clean, accessible design that united the Octopus's nautical themes with its Oakland roots. 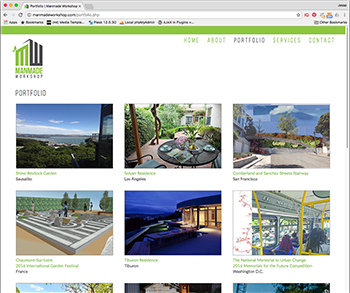 Built in Drupal, and using a combination of media queries and jQuery scripting, the elements of this website's layout are fully responsive to mobile devices. 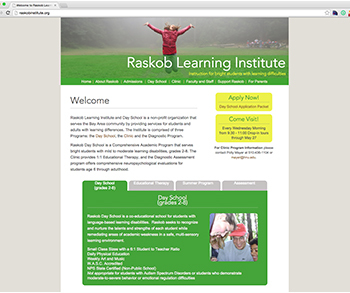 The teachers at the Raskob Learning Institute want to focus on teaching, so WordPress was the ideal platform for building their site. Multiple custom post types allow them to post news updates, upload testimonials, and display all the well-deserved awards they've won throughout the years. 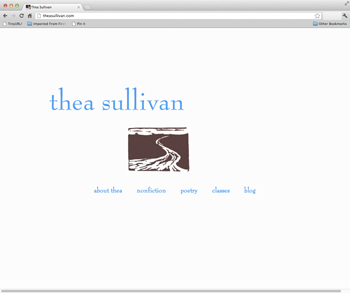 "The text is more important than the images," Thea Sullivan told me when we began discussing her website. The result is an elegant, minimalist design that calls out Thea's writing. A teacher as well as a writer, Thea's site uses Event Espresso to manage class registration. WordPress provides overall content management. "I've got three words for you," said Uniform Standard bassist Mark Baker, "'southern,' 'biker bar,' and 'stripper.'" With its no-frills architecture, its focus on the photographs of the band, and a straightforward approach to mobile devices (plus Baker's clearly articulated vision), this website went from conception to launch in about three weeks. Well, there is one frill. Visit the site and click on the cow skull. 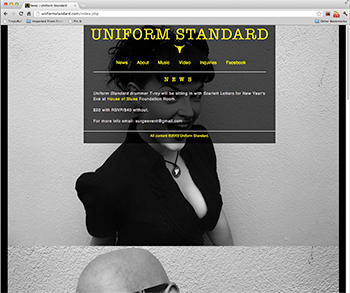 Although this site is no longer live at uniformstandard.com (sadly), it lives on as part of my personal portfolio. 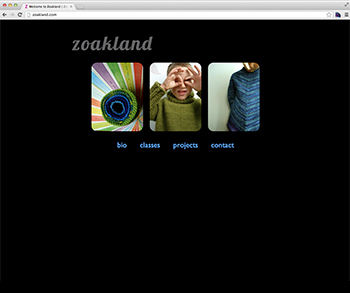 Built on the Drupal content management system, this site is the showcase for Zoe Gladstone, and Oakland-based knitter. It uses multiple content types to display class information, knitting techniques, and ridiculously cute finished items. I knew what I wanted, but I didn't know how to articulate it. Jesse patiently worked with me through various drafts until we had the a-ha moment.